(5 challenging brain games) We all love to play games, but what if we used that passion and fondness in a positive manner? What if used that enthusiasm to learn and train our mind? Well, you do not have to think anymore because we present to you, a list of 5 challenging brain games playing which will make you a better, smarter critical thinker. 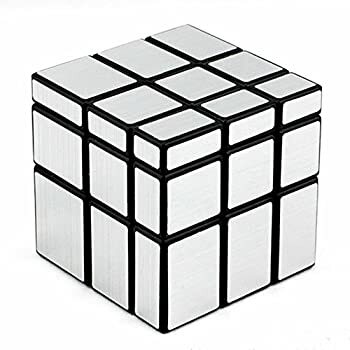 #1 Challenging brain games: We all know about Rubik’s cube and its variants such as ‘2×2’ cube, ‘3×3’cube, ‘4×4’ cube, but does any of us know that studies indicate that people who constantly play and solve Rubik’s cube tend to have a better acumen that other people. So why hesitate, visit your nearest toy shop or from the following link. #2 Challenging brain games: This game is unlike other games. It requires one to recognize patterns, analyze trends and use them to win by completing patterns. As the picture suggests, this game includes a series of patterns, that can only be completed by placing the plethora of blocks in the correct order. Play this game to build up you analytic skills and conquer this world full of mysteries and hidden secrets. #3 Challenging brain games: Similar to a Rubik’s cube, this is another ingenious cube. Many might know it for being showcased in the Bollywood blockbuster, ‘Bang Bang’. It is still a buzz between children for its stylish look, dexterous outlook and amazing gameplay. Play it to master the skill of thinking critically. #4 Challenging brain games: This is another mind challenging puzzle that you can find on the internet. This puzzle incorporates 9 small squares, 9 columns, 9 rows and 9 numbers. The aim of this game is to challenge the person playing to analyze different trends between different numbers and their positioning to predict numbers and their position on the Sudoku. #5 Challenging brain games: Cards are often misunderstood to be a substitute to gambling, but it isn’t true. In fact, it is a great way of improving your general thinking pattern, shrewdness used in making decisions and the ability to forethought. The best part about ‘cards’ is that they can be manipulated in countless ways to play different games that suit your interest.